The General Court has partially annulled a Commission fining decision concerning patent settlements entered into by Servier and five competitor producers of generic drugs, reducing the fines from a total of € 428 million to € 315 million. The Court broadly upheld the fines based on Article 101 of the EU Treaty, which prohibits anti-competitive agreements. But it annulled the fine on Servier to the extent that it was based on the Article 102 prohibition of abuse of a dominant market position, reducing Servier’s total fine from € 331 million to € 228 million. Why did the Commission impose fines? The fines related to agreements made after the generic producers brought court actions challenging Servier's patents for its cardiovascular medicine perindopril, as part of attempts to enter the market themselves. Under the agreements Servier made payments to the generics companies and those companies delayed the marketing of drugs that might otherwise have competed with perindopril. 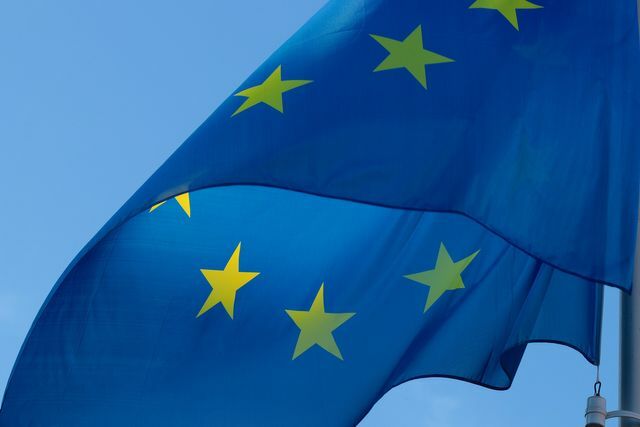 The Commission found that the settlement agreements reserved the market to Servier and infringed Article 101 of the EU Treaty. In addition it found that, through the agreements in combination with the acquisition of alternative technology for the production of perindopril, Servier had infringed Article 102. The Court confirmed that most of the agreements constituted restrictions of competition by object and approved the Commission’s approach in this respect. In particular it agreed that the generic companies were potential competitors of Servier at the time the agreements were concluded, that the payments were an inducement to them to stay out of the market, and that the no-challenge and no-marketing clauses were not based on the parties' recognition of the validity of the patent in question but rather on that financial inducement. In those cases it was not necessary for the Court to consider the Commission’s findings on the effects of the agreements. However, in relation to Krka the Court found, on the facts, that there was no restriction by object or effect. As to abuse of a dominant position the Court annulled the Commission’s finding completely, holding that the Commission had defined the market wrongly. It had wrongly held that perindopril differed in terms of therapeutic use from alternatives, had underestimated the propensity of patients treated with perindopril to change medicines, and had given excessive importance to price in analysing the competitive constraints. So when are patent settlements illegal? This and similar cases are controversial because they require anti-competitive arrangements designed to exclude generics from the market to be distinguished from legitimate settlement agreements designed to resolve disputes about the validity and scope of patents. Some argue that condemning patent settlement agreements makes patent disputes more risky and more costly. The Court in Servier accepts that a patent is presumed valid and that in principle parties to a dispute should be encouraged to conclude settlement agreements rather than pursuing litigation. However it holds that a balance needs to be found between the benefits of allowing settlements and the risk that they be misused contrary to competition law. The Court agrees with the Commission that when the proprietor of a patent grants a generic company advantages inducing it to refrain from entering the market or challenging the originator company’s patent, the agreement at issue, even if presented as a settlement agreement, must then be considered a market exclusion agreement, because it is then the inducement, and not the recognition by the parties to the settlement of the validity of the patent, which is the real reason for the generics staying out of the market. However, in the absence of such an inducement such agreements are less likely to be problematic. For many years the European courts have shown great deference to the Commission when reviewing its Article 102 decisions. Servier suggests that the ECJ’s 2017 Intel judgment may have encouraged the General Court to take a more active role than previously in holding the Commission to more rigorous economic standards and to review and test the Commission’s analysis of issues such as market definition. If this is a trend it can be expected to have wider repercussions given ongoing attempts by the Commission and national competition authorities to extend the reach of Article 102, for example in the area of excessive pricing of medicines. Pay-for-delay cases are just one example of competition law enforcement being used by authorities as a means to combat high drug prices that weigh on public budgets. Enforcers around the world are clearly alive to political concerns about “unfair” high pricing in the healthcare sector. Questions remain as to the extent to which competition law should and can be used to intervene, but these most recent judgments, like the UK CAT’s decision in Pfizer/Flynn Pharma, are a signal that authorities need to be rigorous in proving their case.